Our removals process is simple but effective and has been for nearly a century. The first step when you know the details of your house move would be to have a look at some removal companies. Doing in-depth research into whether the removal company that you are looking at is reputable is key at this stage to avoid any unnecessary scares further down the line. Look out for how long the company has been established, any reviews or testimonials that they might have and also at any credentials such as whether they are a member of the BAR. It is also worth considering what additional the removals company that you are considering offers. Some removals companies provides additional services such as self-storage, paper shredding or van hire to help keep any tasks that will run alongside your removal under one roof. Once you have done your research, it is worth getting in touch with a few removals companies to find out initial availability and also get that first impression with the company. You can get in touch with Holdsworth’s via our website, via email, over the phone or by paying us a visit. 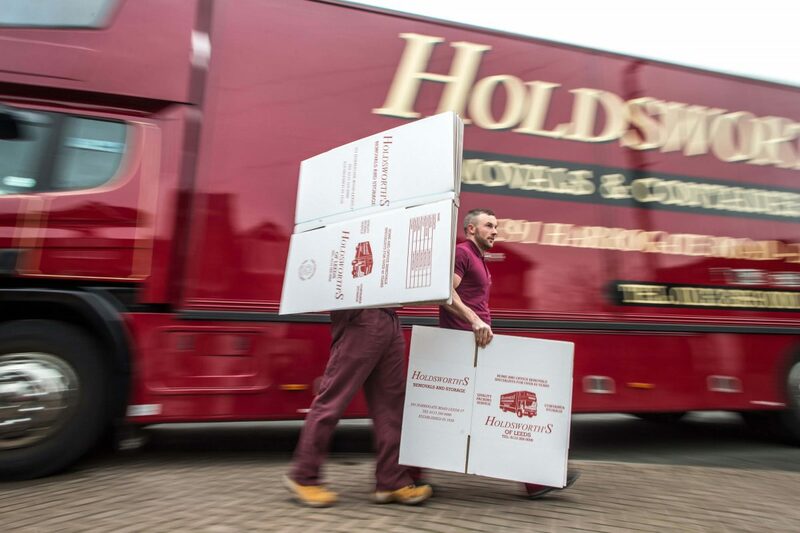 Here at Holdsworth’s you will have a designated move coordinator from the start of your move until its successful completion. At this point they will advise you on the best way to receive a quote for your removal. Your move coordinator will provide advice on the best method on how you can receive an exact quotation. This can be done by filling out one of our Home Contents Forms or by arranging a visit for one of our removals consultants to be shown around your current property. At this stage you will be asked if you want to do the packing yourself or whether you want to use your removal company’s packing service. Also consider what materials might be required for the move. So you have selected to move with Holdsworth’s. All we require from you now is to sign and return your acceptance form which will show your removal details. At this point consider your insurance and waivers – if you have any questions on this then just get in touch with your move coordinator who will be able to provide more information. Then we will also require payment to confirm your booking. We can take payment over the phone or you can pay us a visit. So you are all booked and preparing for your move. There will be a lot going through your head at this stage so take a look at our Ultimate Removals Checklist to try and help you prepare for and successfully get through your move day. All in the knowledge that your items will be moved by a reliable removals company in Holdsworth’s of Leeds.